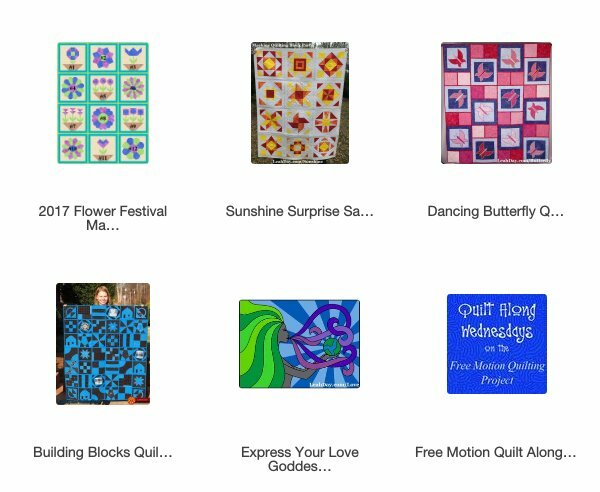 In 2009, I created a blog with a really long name that was eventually shortened to the Free Motion Quilting Project. My original goal was to share 365 free motion quilting filler designs in one year, with a new quilting video and photos shared daily. My main goal was to quilt every day. I was 25 years old at the time and my son was just 2 and I wanted a reason to sit down at my machine every day and finally get the hang of free motion quilting. No, the first videos aren't perfect, but I saw an enormous change in my quilting ability over that year! I've now shared nearly 500 quilting designs in quilting tutorials for you to enjoy. Click the links below to find designs 301 - 400. Please spread the word about this quilting design resource! We love it when you share these quilting videos and tutorials with your friends. Would you like to quilt along with me? I've shared new quilt along projects since 2012 and guided thousands of quilters through many different projects. Click the links below to learn about past quilt alongs and join in the fun!